101 Apparel was created by designer Eric Crandell in 2006 as a way to seamlessly bridge the gap between art, music, and fashion. As Ubiquity Records Art Director for many years he applied his skills in designing album covers, silk screens and was the chief creative force for Ubiquity’s lucrative apparel line. 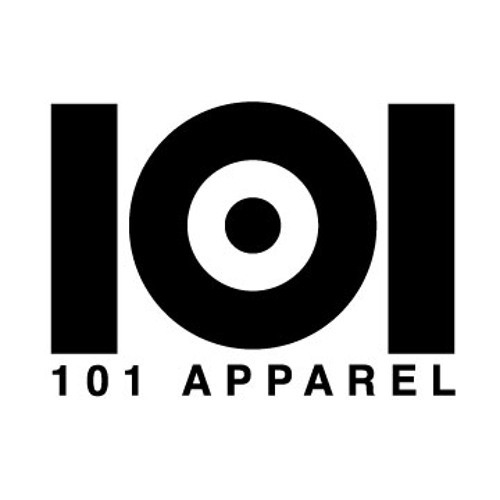 Now, 101 Apparel is the next paradigm shift in aesthetic innovation, authenticity and imagination in fashion design. When 101 Apparel began in 2005 the response was overwhelming and continues unabated to this day; select premium retailers from all over the globe from New York, Paris, Berlin, London, Amsterdam, Tokyo and Madrid stock 101 Apparel designs.101 Apparel’s success is due to the unparalleled work ethic, taste making intuition, and ear to the ground methods that have become the hallmark of the 101 Apparel brand. 101 Apparel takes inspiration from all the musical styles across the globe; from afro beat to disco, Brazilian samba, bossa nova, and Tropicalia, to the vast encyclopedia of electronic music, hip-hop, funk, soul, reggae and jazz, and everything else that falls in between. If fashion could be music 101 Apparel is that music. A quick view of the 101 Apparel portfolio confirms for veterans and novices alike that the knowledge displayed when it comes to music, culture, and design is both vast and deep. Never afraid to take calculated risks to keep the apparel line moving forward, we never rest on our achievements. 101 Apparel takes inspiration from various genres and cultures, showing influences from classic designers such as the work of Alexander Girard, Milton Glaser, Reid Miles and Ray Eames. Music and design has a long history of cross referencing conceptual ideas into artistic forms and 101 Apparel applies that design history every step of the way. 101 Apparel is where sound and vision converge into one seamless package. After years of absorbing the music and design aesthetic in anything from an old dusty latin funk 45, to a European soundtrack, to an early 12’ inch dance classic, all these influences create something, vital, unique and enduring. Now, 101 Apparel has been working with the cream of the crop DJ’s, artists and producers to fuse the music and the designs into a unique artistic document. We are currently undertaking doing a limited edition “101 Apparel Artists Series” where we collaborate with our favorite artists and ask them to do a mix CD of exclusive material for 101 Apparel. These are one of a kind mixes that come with a specially designed shirt that expresses the artists’style while keeping the 101 legacy intact. Cur- rently the collaborations include an exclusive mix by producer-artist-DJ, Nightmares on Wax (funk, soul, hip hop breaks). A collaboration with Wax Poetics that brought us world renowned DJ and collect ors Kon and Amir ( this mix focuses on rare disco and Latin). An exclusive mix by Dj-producer Lono (Chicago/NYC) entitled a “Disco Unusual Social Club Mix”. A mix and shirt with producer, DJ, and artist, Quantic (Tru-Thoughts). An exclusive mix and shirt with the modern funk ambassador Dam Funk (Stones Throw). A design collaboration with the legendary latin label Fania Records. A shirt paying tribute to Tony Allen ( Fela Kuti’s drummer) with an exclusive mix of unreleased Tony Allen tracks by DJ Rich Medina. Next in line is a shirt and DJ mix by up and coming producer and musician Chico Mann (Wax Poetics Records) and a special collaboration shirt and DJ mix by Jeedo (Waajeed, Bling 47). Stay tuned for much more to come!